Lombok is often compared to Bali. The neighboring islands have many similarities and many differences. They are only about 20 miles apart. 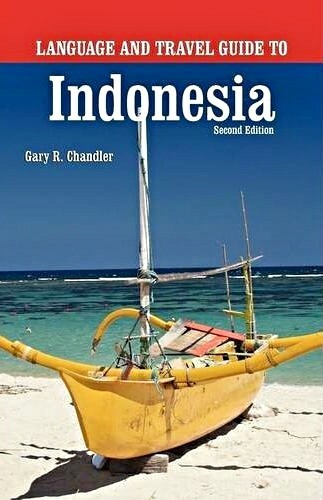 Lombok has much in common with Bali, but it is less known, less commercialized and visited less by world travelers. It is working to increase its visibility and appeal. Both islands have Hindu and Muslim influences, but in opposite proportions. Both islands have beautiful highlands and white sandy beaches, but Lombok is quieter and dryer than Bali. The largest city on the island is Mataram. Until 1987, few visitors made the trip to Lombok. Today, Lombok is growing in popularity, but it is still relatively quiet and undeveloped. Tourism is already the second-largest industry on Lombok. Mount Rinjani, beautiful coastlines, coral reefs, and stunning waterfalls highlight the list of popular destinations on Lombok. 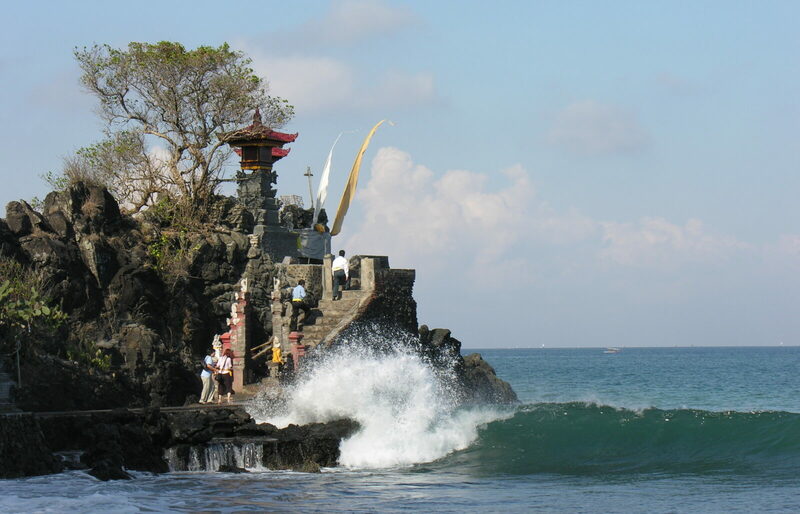 Pura Batu Bolong (POOR-rah BAH-too BOH-lohgn ): This Hindu sea temple is one of the most interesting temples on Lombok. It sits on the rocky coast facing Bali’s holy mountain, Gunung Agung, while constantly absorbing large waves from the sea. It is located between Mataram and Senggigi. Visitors must wear a sash around their waist to enter the temple. For a small donation, you can borrow a sash from the attendant. A hole in the rock under the temple lets waves come through, which adds to the site’s charm. Located between Mataram and Senggigi.